When you ask most people who the worst person of the 20th Century, you often get similar answers: Adolph Hilter, Joseph Stalin, Slobodan Milosevich or other fascist dictators who committed mass killings. 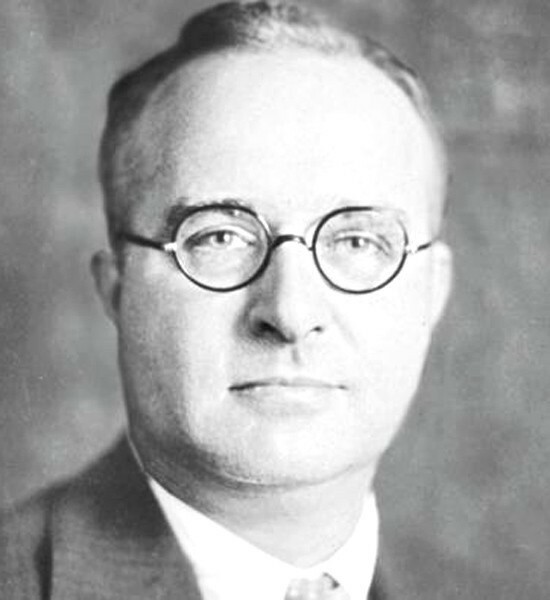 Thomas Midgley Jr. was both a mechanical engineer and a chemist from Pennsylvania who was granted over a hundred patents in his life. Born in 1889, he died in 1944 a celebrated chemist who notably won the prestigious Nichols Medal from the American Chemical Society, The Priestley medal (the highest award of the American Chemical Society), the Willard Gibss award, two honorary degrees, was elected to the US National Academy of Science and who eventually became President of the Amerian Chemical Society. The early gasoline cars had a major problem called “knocking” in which the explosion of gasoline in the engine doesn’t occur at the optimum time causing a knocking sound int he engine which may as minimum cause a loud noise but which may also stall the engine and even cause destructive damage. Even today, now that we fully understand how knocking occurs, one of the main problems in creating an engine is knocking prevention, in the 1910s and early 1920s, knocking was a major issue which prevented the growth of the gasoline engines. Ford had decided to go around the problem by focusing on ethanol research since ethanol didn’t cause knocking. General motor and the oil industry were thus in a race to solve the knocking problem for gasoline because Ford could make ethanol the leading fuel. Let’s take a pause on this for a second. Because of knocking in gasoline, we almost had to use, as early as the mid-twenties, ethanol which, unlike gasoline, is a renewable fuel source which might have stimulated the growth of corn and helped avoid global warming as the carbon released by the corn was captured only a year prior to its release instead of releasing millions of tons of carbon locked underground from eons ago. Without Thomas Midgley Jr, the middle-east might not have been a powder keg as the demand for gasoline might never have caused a rush for massive quantities of oil and instead, corn would have been the major commodity. Without the massive oil boom, we might not have the current Islamist terrorists since the United State, Great Britain, and France might not have exploited the Middle-East as much, avoiding to cause a hostile movement against western democracies. According to legend, he tried almost even chemical compound he could find as additive to oil in the hope that it would prevent knocking, and eventually, in December 1921 he found one: TEL or Tetraethyllead, which was advertised as “Ethyl” but which in reality, was lead. In early 1923, Thomas Midgley had to take a long leave of absence for lead poisoning, and in Dayton Ohio chemical plant by DuPont company, 10 people died of lead poisoning in its 1 year of operation and several other employees suffered from lead poisoning. In 1924, since production wasn’t fast enough, it moved to a factory in New Jersey where, in the first 2 months of operation, there were more cases of lead poisoning and 5 more deaths! On October 30th, 1924, Thomas did a press conference to prove TEL was safe. During the press conference, he smelled TEL for a minute and even poured it over his hands to prove it was safe. He even explained that he could do this every day without any ill effect, but of course, he was nonetheless diagnosed with lead poisoning soon after. The factory was closed by the state of New Jersey, but TEL became widely produced until it was phased out in the mid-1970s in the US, but it kept being used in other countries and 3 countries still widely use TEL: Yemen, Algeria, and Iraq. How TEL may have contributed to the crime spree of the 60s to 80s. In the 1960s to the 1980s, these was a crime epidemic in the US (and other countries). Crime level rose year after year and many causes were put forward: the dissolution of the nuclear family, increase in drug usage, the introduction of a new drug: crack or failures of the education system. In the early 90s, everyone was bracing for record level crime rates and the government ready itself by being tougher on crime, adding 3 strike laws to remove hardened criminals from the streets or creating a massive war on drugs. Instead, in the 90s, the crime rate leveled off and later, began to drop. Instead of an increase in the number of murders, the murder rate per capita began to decline, as it did for other violent crimes. The police credit better intervention techniques. The government credits tougher laws which took criminals off the streets. Steven Levitt, co-author of Freakonomics credits the legalization of abortion since unwanted kids tend to cause more crime. While I think that these are a part of the solution, I think that the removal of TEL was an even greater contributor, since TEL is highly toxic and is easily dispersed into the air and later easily inhaled. TEL is basically lead, and lead is a toxic metal which accumulated into the body where it can cause low IQ and antisocial behavior. Today, crime rates are dropping as lead is being removed from the environment and lead blood concentration in children returns to lower levels. And losses of about 2.4 trillion USD per year (or 4% of the global GDP). A simple leak in the refrigerant could prove lethal or at least, cause severe illness. Thomas Midgley was tasked to find a safe alternative and he discovered Freon, who real name is “chloroflurocarbon” (CFC), for which he won the Perkin medal in 1937.